"Some nights the sky wept stars that quickly floated and disappeared into the darkness before our wishes could meet them. " 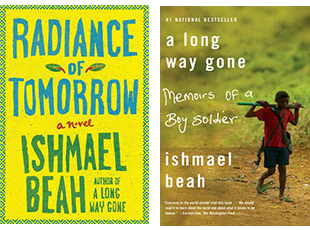 Ishmael Beah is the New York Times bestselling author of A Long Way Gone, Memoirs of a Boy Soldier and Radiance of Tomorrow, A Novel both published by Farrar Straus & Giroux. 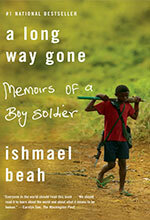 Ishmael Beah was appointed UNICEF’s first Advocate for Children Affected by War on 20 November 2007. He pledged to give a voice and hope to children whose lives have been scarred by violence. His Memoir has been published in over 40 languages and was nominated for a Quill Award in the Best Debut Author category for 2007. 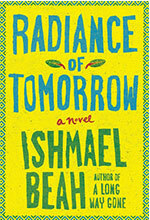 His novel written with the gentle lyricism of a dream and the moral clarity of a fable is a powerful book about preserving what means the most to us, even in uncertain times.